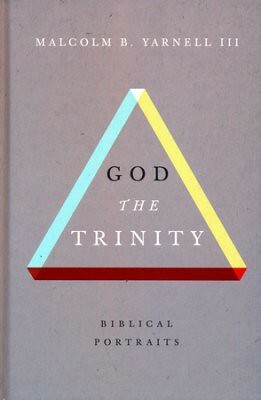 A Review of, “God The Trinity” by Malcom B. Yarnell the III. In the field of Christian books, I am always looking for books that will add value to my library, books that will not be a waste of my time to read. This was a pretty good book overall. It was definitely NOT for laymen. It was a scholastic work. The author assumes that the reader has read, or is familiar with the works of the other men he has cited in this book. If you are not familiar with those works you can still read this book and get something out of it. It is well bibliographed, and indexed. The author throws in some Greek, not to worry, he explains what it says. He also uses several big words that you might need to grab a dictionary and look up. Do not be afraid of heady books. These things help you learn and grow. Don’t run from the challenge of education. As far as the content of the book goes, I appreciated his explanation of the economic Trinity. This helped me understand how we are in Christ, He is in the Father, and He is in us, as well as the Holy Spirit indwelling us. It is one thing to know the words, it is another to get a better grasp on the mechanics of how that works. If you are like me, you are not satisfied until you can see all the steps, or processes of the behind the scenes workings of something. He also delved into the ontology of the Trinity. I might not of understood everything he wrote when dealing with this topic, or maybe I did, and just disagreed with him on one of his conclusions. Even so, If you are patient, and willing to do some work, I think you could learn from this book. Yarnell also explains some non-Trinitarian heresies, defends the orthodox trinity, deals with some of the concepts of being eternally begotten, and what that looks like. He explains how Christ accepted worship from people, and he demonstrates how the Bible equates Christ with God the Father. If you take the time, this will help you with your apologetics when talking with non-Trinitarian heretics. You can pick up your copy from Christianbook.com, Amazon.com, or Lifeway.com. How to Add Ribbons to your Bible.